UPDATE: Due to extenuating circumstances, Treasurer Nicky Allen & Criminal Justice, Paternship and Commissioning Manager Lyn Gooding will now be attending the Isles Of Scilly Meet Your PCC. Your Police and Crime Commissioner is holding a "Meet Your PCC" event in St Mary's on Tuesday 7 August 2018. 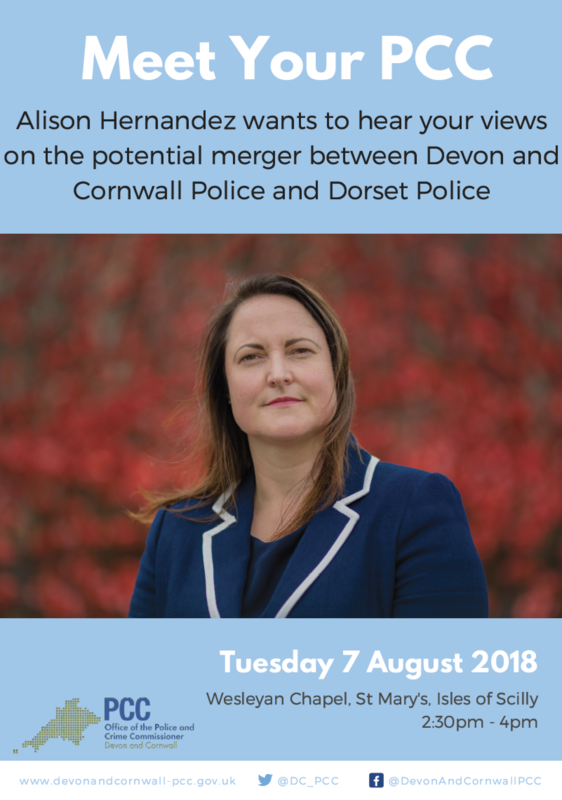 Alison Hernandez will be available to hear your views on local policing, community safety and the potential merger between Devon and Cornwall Police and Dorset Police.